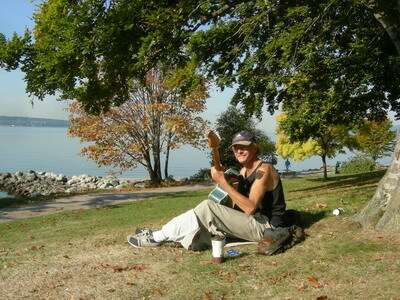 I took a break today and headed down to English Bay to enjoy the sun and sea. Here are a couple photos. The humans look reluctant to go in. The dog was not. Thinking me a tourist, this friendly guy offered to take my photo, but I said I’d rather take his. Great spot under big trees just starting to shift into fall colour. 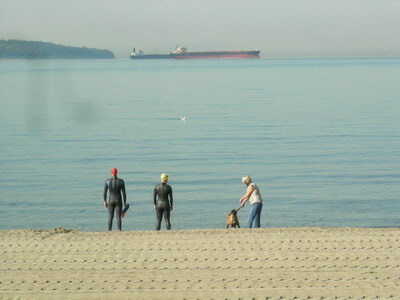 Vancouver’s sunny fall weather continues. 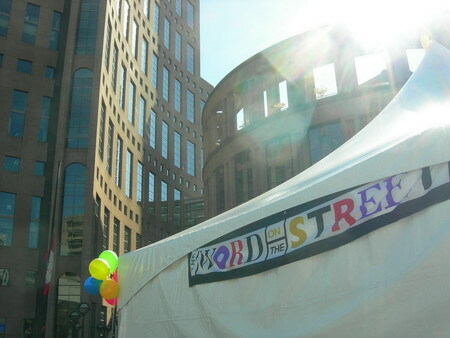 I spent today downtown at Word on the Street, the annual celebration of books and authors, which takes place at Vancouver’s Central library — inside the library and out on the surrounding streets! You can check out some photos I took at the BC CWILL blog.